Try incredibly easy to use up-to-date webcam software Xeoma! Download it FOR FREE! This video-monitoring program turns your computer into a comprehensive video-security system to watch your home or business remotely. You can keep an eye on everything you care of: home, kids, pets, office, cars and valuables. WebCam Looker supports an unlimited number of various video sources. This surveillance software enables you to capture images from analog and digital cameras, files, TV-tuners and other video capture devices. You can view images from all cameras simultaneously in the main application window. WebCam Looker has highly optimized motion detection feature. You can define any number of detection areas on each camera. Moreover, the monitored areas can be of any shape and size. Watch the space around your car, backyard, frontdoor, your child sleeping or your office after hours. As soon as motion is detected in the monitored area, the program immediately alerts you. 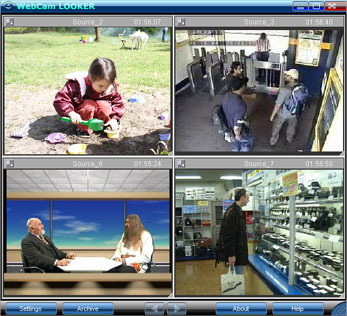 WebCam Looker video surveillance software enables you to choose any of 12 alert actions (destination types): sending email with attached image, sms, Skype message, archiving video and snapshots, sound alarm, uploading captured images to the Internet via FTP or HTTP and others. Every camera you add to WebCam Looker can be scheduled to start and stop at specific times and days of the week, e.g. during daylight hours or evenings/weekends. Still images and video recordings can be saved into archive or a specified file with automatically or manually selected compression. Later you can review recorded files frame by frame or at an adjustable speed, export or delete your recordings. The disk storage can be used in the “cycle” recording style or until a predefined disk space limit is reached. This will help you to prevent the "disk full" situation. WebCam Looker offers you the remote viewing feature. This video-security system enables you to watch multiple cameras or your computer monitor (live screenshot), review the archive of stored images remotely over the Internet from all over the world in real time. Stealth mode makes this IP camera software completely invisible so it isn’t displayed in the system tool tray and in the task bar tray. WebCam Looker can be set up to turn your PC into a full function web server. Publish live video streaming or your images with adjustable frequency on the Internet. This webcam software enables you to create your own web site or a small home page with dynamically updated images. Try this video surveillance software from FelenaSoft. You will get a powerful monitoring system for just a fraction of a professional video security system price. You don’t need any special equipment. Any webcam or IP camera is enough to transform your PC into video-monitoring or a piece of the safety system. Quickly installed – this solution can be set up and configured in a minute. You can use it straight away with the default settings and later if you feel the need, just fine-tune it to meet your demands. 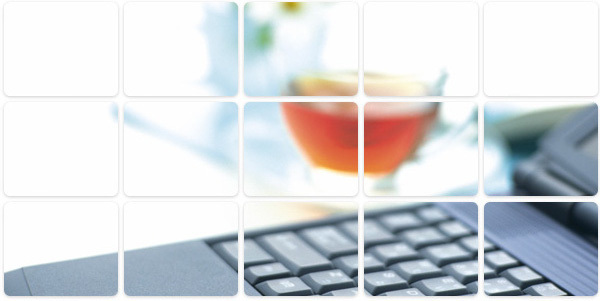 WebCam Looker's flexibility will allow you to set up a system tailored for your individual needs. WebCam Looker has been developed since 2005. WebCam Looker - time-proved reliability and functionality. Have an eye on your car and other valuables. Get the updates via newsletter! Subscription will also give you an opportunity to use Xeoma's free edition!